LOS ANGELES, CA (June 3, 2016)- PAPAGO! Inc. has released the new and improved PAPAGO! 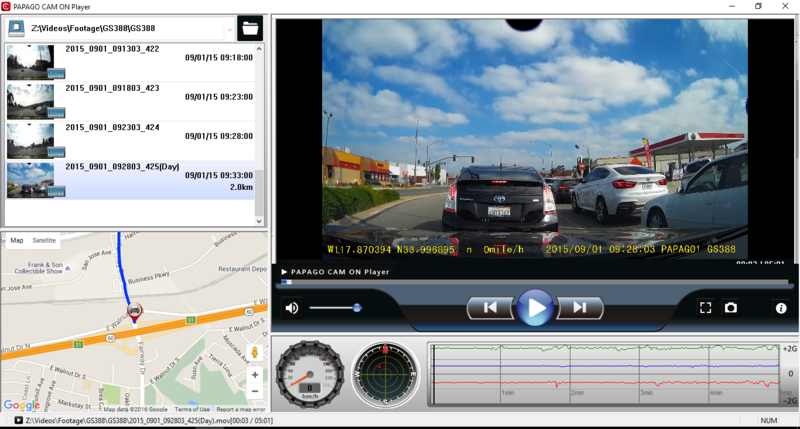 Cam On Media Player, to provide users the opportunity to see their GPS map location as they are playing back their footage, this way, the user will know the exact location of where the footage was recorded. 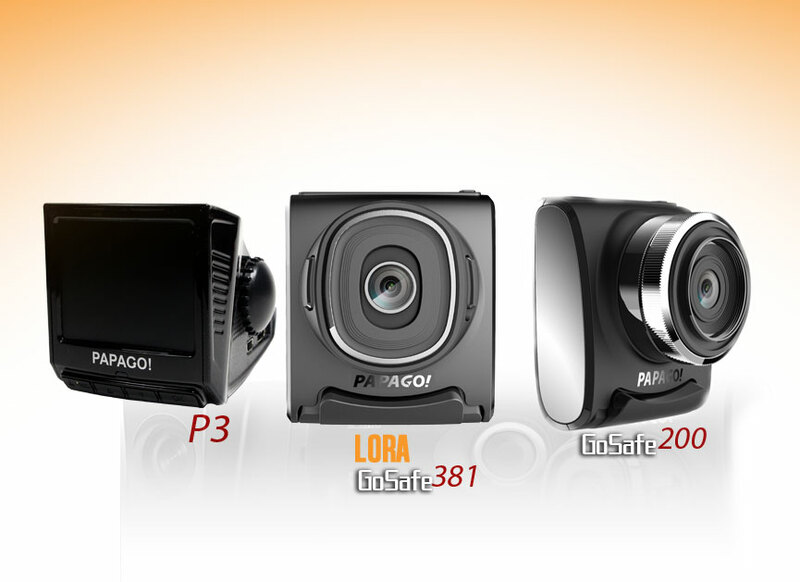 Before, the P3 was the only dash camera compatible with the software. Now, the PAPAGO! Cam On Media Player, formerly GoLife Player, supports all PAPAGO! GPS enabled models, so long as the PAPAGO! GPS Antenna is being used. The software is free and available for download on the PAPAGO! website. To take advantage of this extra feature, simply download the software, and play your files via the program. LOS ANGELES, May 19, 2016- Designed with driver’s safety in mind, PAPAGO! introduces the GoSafe TPMS 100, an easy to install tire pressure monitoring system (TPMS) created to minimize chances of accidents, improve fuel efficiency, lengthen the life of tires, and minimize suspension wear on cars that do not already have a TPMS. Wireless tire sensors inspect the pressure and temperature of each tire and then send the information to a receiver, a compact device that shows the information in an easy-to-read display. The receiver, integrated with a USB port, goes inserted into the car’s lighter. When an abnormal change in pressure or temperature occurs, the receiver beeps and identifies which specific tire is impaired, alerting the driver to pull over. With the GoSafe TPMS 100, all you’ll have to do is focus on the road. Please visit GoSafe TPMS100 for features, videos and reviews. NOW until Monday May 30th! FREE! PAPAGO! 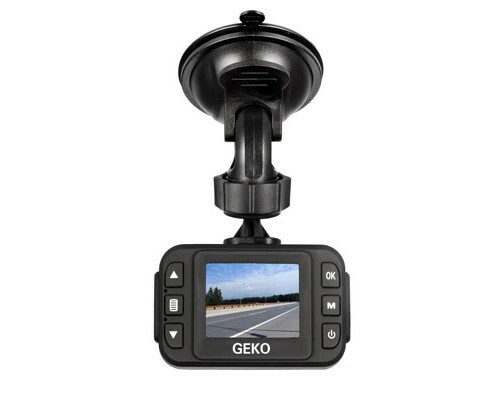 GPS Antenna with the purchase of any of these qualifying dash cams from Gadgets & Doodads! To use offer, click on the BUY NOW! links, scroll down to “Special Offers and Product Promotions” and click on “Add Both to Cart” under FREE GPS ANTENNA offer. GOSAFE 200– $119.99 BUY NOW! GOSAFE 118– $89.99 BUY NOW! GOSAFE 260– $119.99 BUY NOW! AND TO TOP IT OFF. . .
GEKO E 100 for ONLY $49.99! Receive 1 PAPAGO! GPSA-US Dashcam GPS Antenna free when you purchase 1 or more Qualifying items offered by Gadgets & Doodads. We will be at SEMA 2015! We are excited to announce we will attend SEMA to showcase new products. 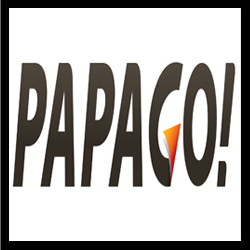 You are receiving this announcement because we want you to be the first to know that PAPAGO! is launching new products that will be announced at the 2015 SEMA show on November 3-6. As you well know, we strive to develop and design top-of-the-line dashcams that are built with the latest technology and firmware available. This year we have accomplished a lot with your help. So we do not want to lose that momentum. Our engineering team has been fast at work creating new dashcams that have better video quality as well as improved features that our customers have come to know and depend on. Make your appointment to come by our booth #11680 in the LVCC, North Hall, so we can show you what we have in store for 2016. Email us back to give us the best date and time during the show that works best for you. Hope to see you in Vegas! 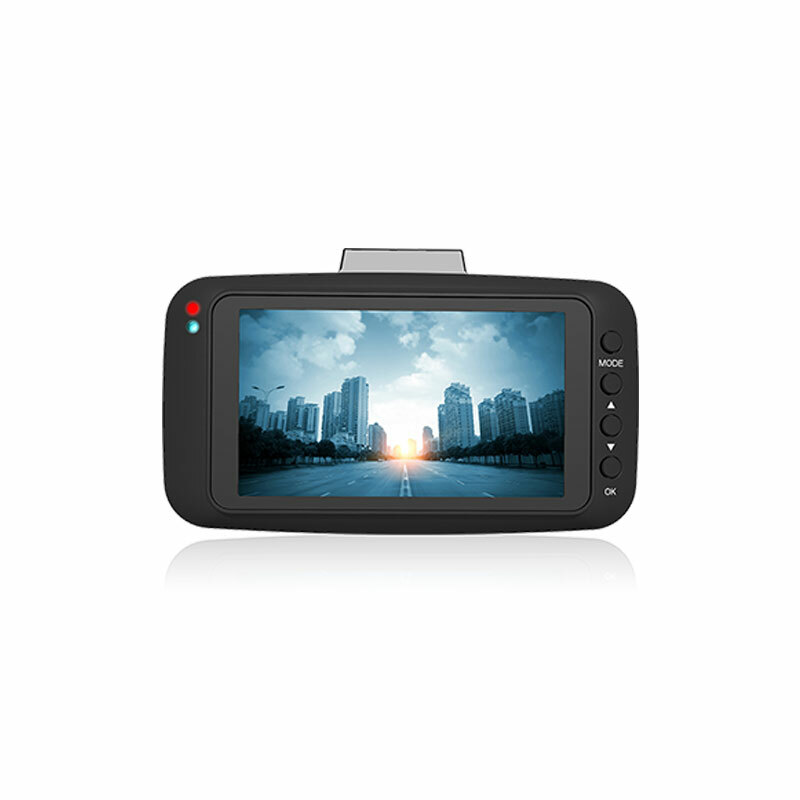 The GoSafe 268 is an anti-glare rear view mirror dashcam that can support up to a 64GB MicroSD card. The Sony sensor helps to create stunning videos; day or night and the mounting clip can easily fit up to 90% of most vehicles. The PAPAGO! S30, although smaller than most other designs, does not lack in video quality. The Sony sensor will provide you with excellent footage that will amaze your friends and family. 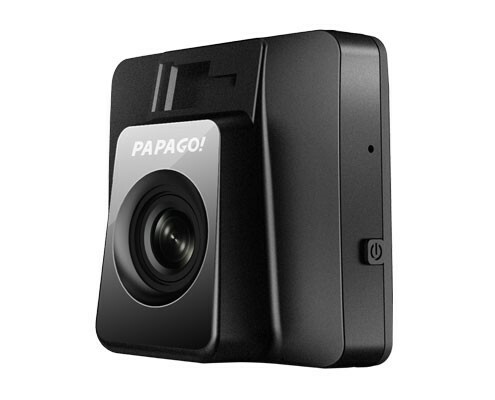 Still loaded with many useful features like: Stop and Go, Motion Detection, GPS-ready, and Light Reminder. 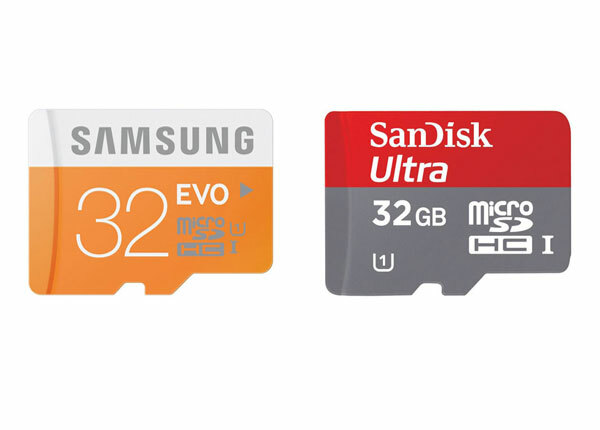 It can also support up to a 64GB MicroSD card. The PAPAGO! 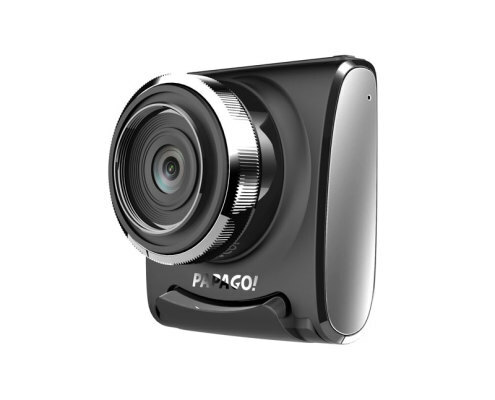 GoSafe 388 is probably one of the most compact dashcams on the market. The engineering team got creative with this camera by housing it with ionized materials to ward off bacteria. Much like the S30, the GoSafe 388 supports up to 64GB MicroSD card and also comes equipped with driver assistance features. Major Updates 1. Fixed the problem in the motion detection mode so that the dashcam will automatically record after selecting motion detection mode. 3. Menu Button on LCD screen can be “hidden”. 4. Adjust the recording volume. 3. Added option for user to switch the opening jingle ON/OFF. 4. Added “Power on/off Sound”. Allows you to turn off/on opening jingle. Major Update Added “Power on/off Sound”. Allows you to turn off/on opening jingle. Many long-time dashcam users may not want all the bells and whistles that come with an advanced dashcam with driver assistance features; they just want a reliable camera that will capture crystal clear footage. 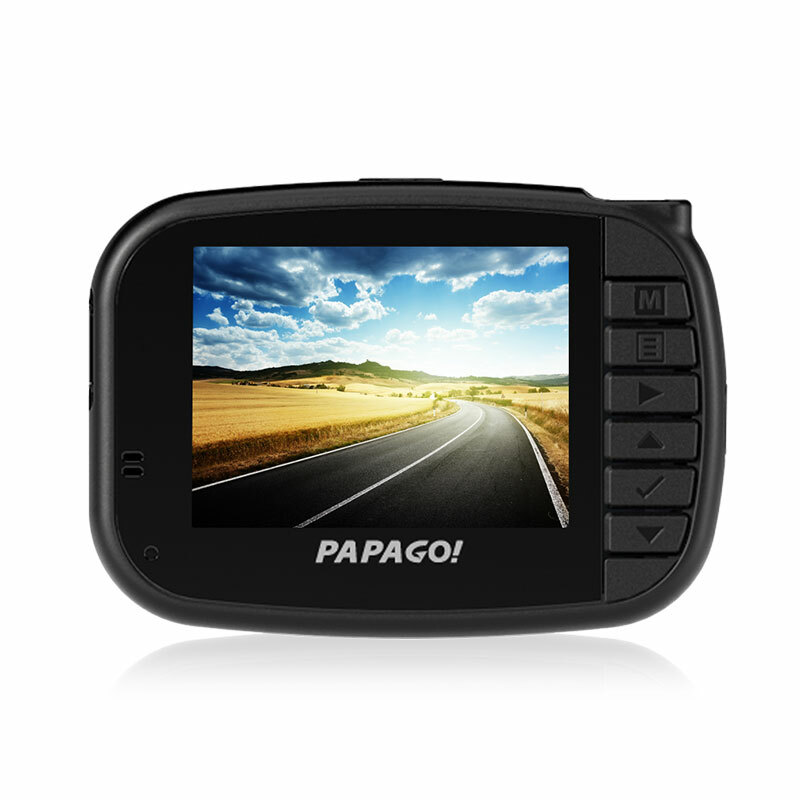 Others have grown to trust and rely on the driver assistance features that can be found exclusively in PAPAGO! 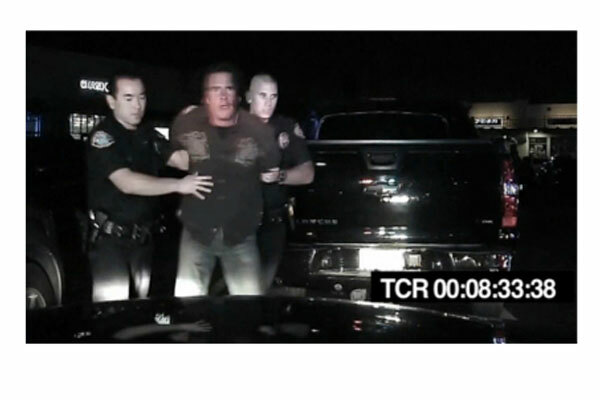 dashcams. With the release of new firmware updates for the LORA/GoSafe 381, the GoSafe 200, and the P3 users will now have Stop Sign Recognition. With Stop Sign Recognition your dashcam will use advanced visual tracking of any stop signs in its’ view and alert you by beeping and showing a stop sign icon on the LCD screen. Avoid any mishaps by never running a stop sign again. Available exclusively with the P3, the Driver ScoreBoard (point system) is a revolutionary new way to travel those treacherous roads. We all know the importance of good driving habits. With this system you can earn points by following all precautions and driving well. You can lose points when accelerating to o fast, slamming your brakes, any collisions, speeding, sudden lane changes, driving too close to the car in front of you for a long period of time, and not keeping up with traffic after the traffic light switches from red to green, or if the Stop & Go feature is activated two or more times. Stick to the rules of the road and keep your ScoreBoard at 5 stars. Never allow yourself to get to zero stars! 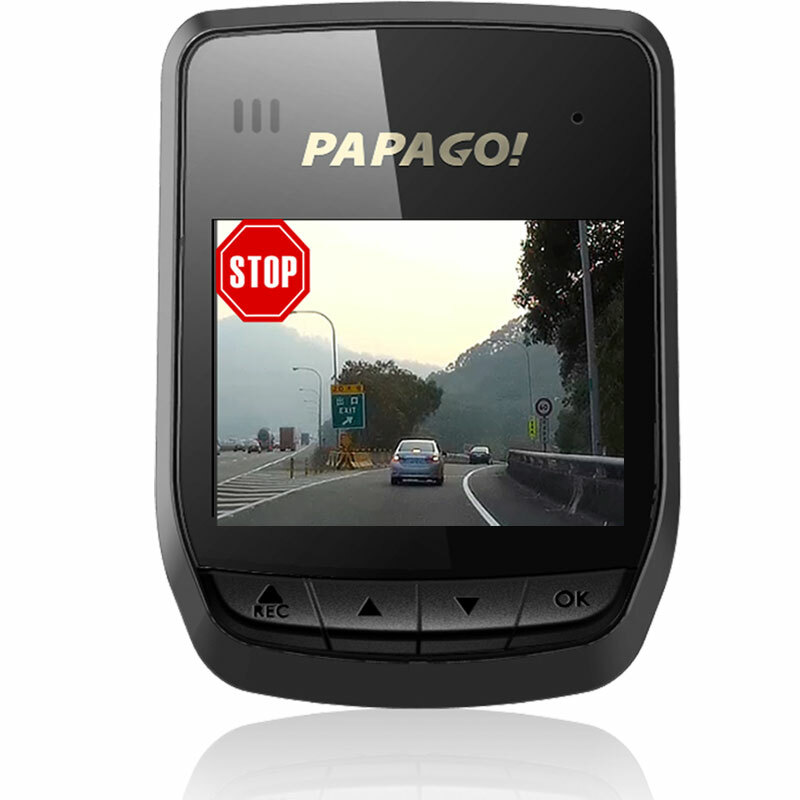 With these new additions to an already robust set of driver assistance features, PAPAGO! 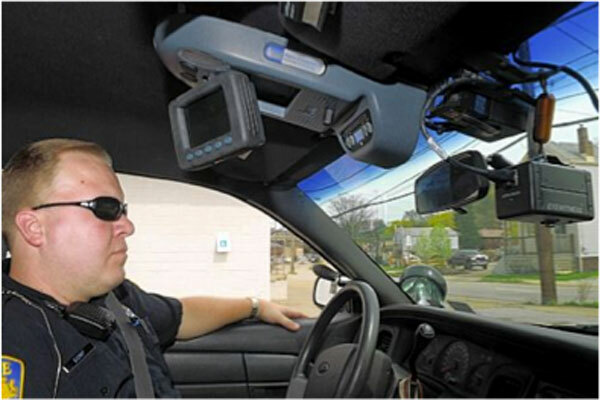 dashcams are way ahead of the competition. 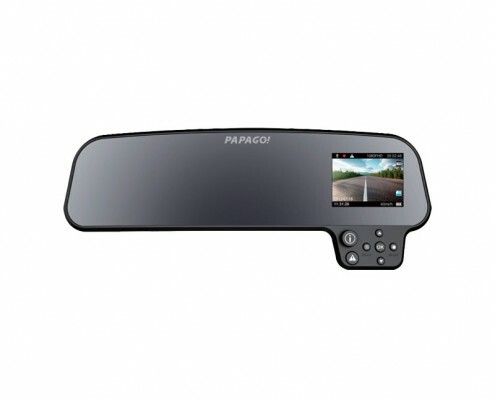 Drivers using PAPAGO! 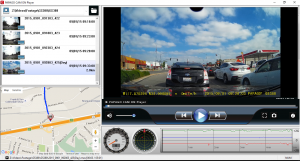 dashcams will soon find that they will come to rely on these safety features to keep them focused and secure while driving. 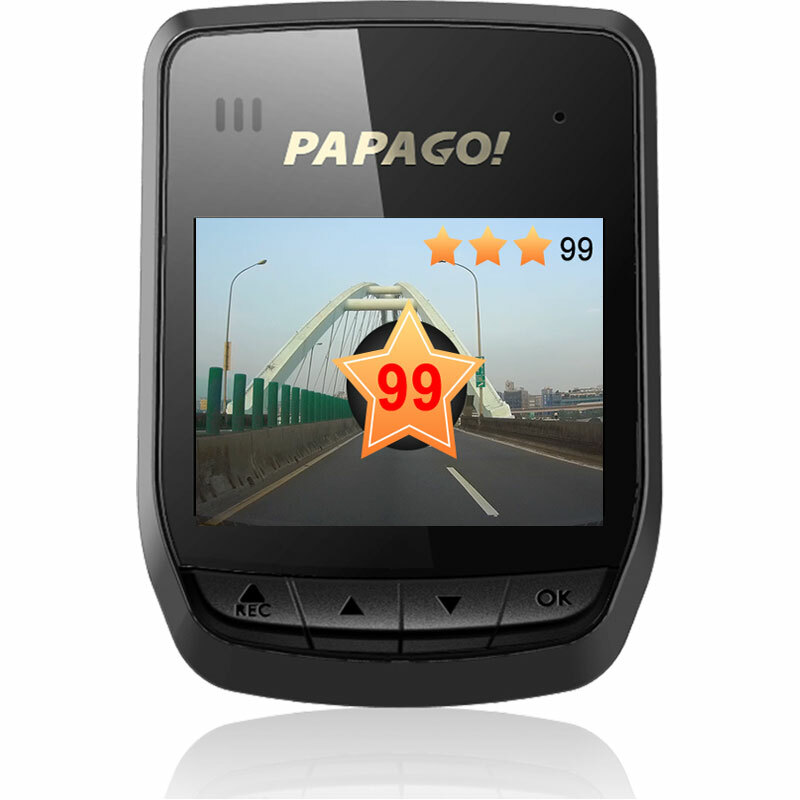 Imagine a world without distracted drivers and I can assure you that PAPAGO! dashcams will be the reason behind it.